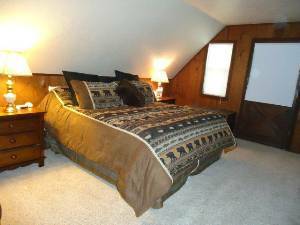 Close proximity to the world renowned North Star Ski Resort. 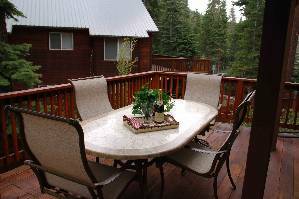 Across the street from national forest and ranger trails that are great for hiking, biking, cross-country skiing, and snow-mobiling. The lake and public beach is about 1 mile away. Golfing and shopping is nearby. 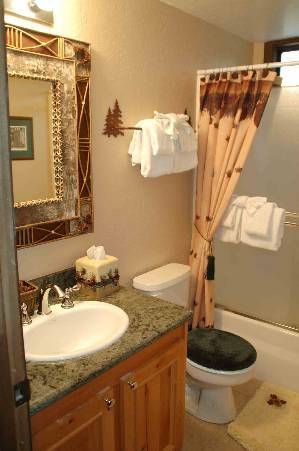 The cabin was recently remodeled bringing a touch of class to the kitchen and both bathrooms. Pets are allowed with additional pet deposit. All appliances are onsight. A full size gas BBQ awaits on the adjoining deck. 2 TV's, Satellite with premium channels, a DVD player, 2 VCR's, Stereo, and Nintendo with 11 games. Fireplace, Barbeque, Dishwasher, Washer/Dryer. Pull through driveway for pulling a boat or snowmobiles. Up to 4 cars can be parked in driveway. High Speed WiFi available at the cabin with Printer, Fax and Scanner. 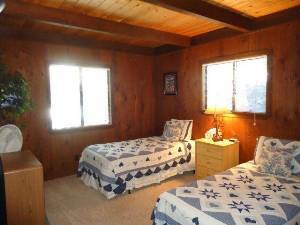 We have stayed at this cabin for the past 3 years and it is great, we love it, it is a very warm and cozy home. We just returned from a great weekend at Tahoe! This cabin is very comfortable and easily accomodates twelve. 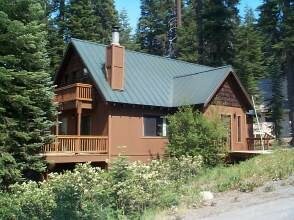 It is close to Northstar ski area, the lake and a grocery store. 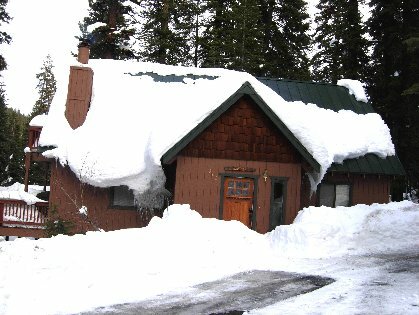 Our family of four stayed there with eight of my son's college friends. It snowed, rained, hailed. 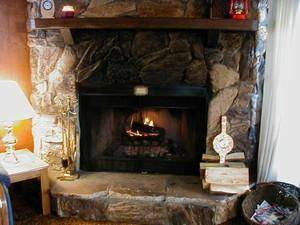 We skiied, snowboarded, taboggoned and relaxed next to the fire. 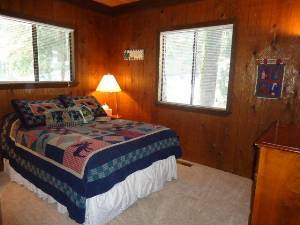 The cabin is very clean and well stocked. There is also plenty of parking. We'll be back! $195 cleaning fee. 10% occupancy tax. Rates do not apply to holidays. Inquire for holiday rates and terms. Deposit: $200 refundable deposit to reserve your dates. Additional $200 refundable pet deposit.